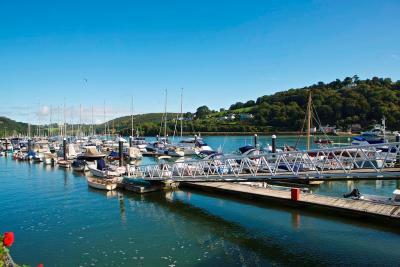 Lock in a great price for Dart Marina Hotel - rated 9.3 by recent guests. The fact they remembered my partners birthday! Thank you!! The room was fantastic! The service was great! All staff were polite and first class particularly Marta and Gemma in the Spa!! It was a fabulous hotel in a lovely town, well located with free parking! We will return!! Perfect in every way from the moment we arrived to the moment we left. Had a 2night break first visit and loved it. We had a good standard room with a view over the River Dart. All the staff were friendly and very helpful. The breakfasts were of a high quality with plenty of choice. 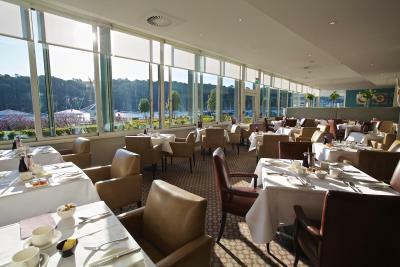 Evening meals were also very good and the service was excellent, including after dinner coffee served in the lounge. Every single member of staff were so friendly and polite! 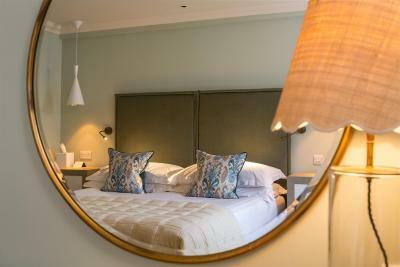 Rooms and facilities are of a really high standard! It’s a beautiful hotel, beautiful food and really friendly staff ! We arrived before check in time but were given all information about our room and facilities straight away! 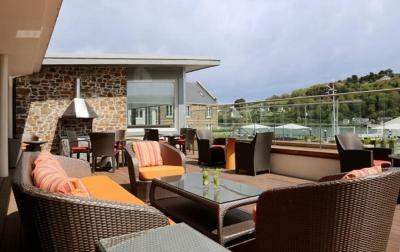 We enjoyed a drink in the bar and made use of the pool! It was a really rainy, blustery weekend but it really didn’t matter when you had such a cosy setting. We decided to stay at the hotel for the evening meal and it was really relaxed and enjoyable, coffee after the meal is a really nice touch. Breakfast the next morning was top quality. We will definitely come back in the summer. We received a warm welcome very friendly and explained what time the meals were served and where. Take to our room. 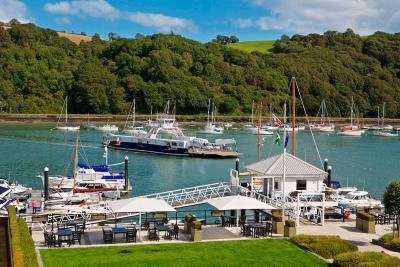 The whole experience of staying at the Dart Marina Hotel was very satisfying. All the staff were friendly,helpful and very polite. Breakfasts were excellent. The staff were exceptional and made our stay memorable and special. The food in the restaurant was very good and good value. 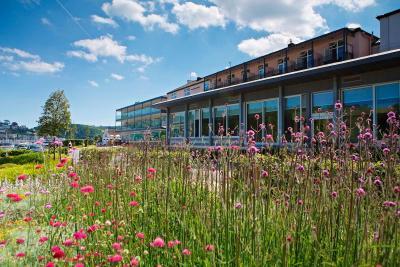 Good points- lovely setting right by the river, helpful and friendly staff. The view was amazing, good size room, friendly staff. A beautiful, clean hotel in the perfect location. Room was spotless and had everything needed for the stay including fresh milk in the fridge for tea/coffee. We had a lovely surprise left in the room for my partners birthday, 2 bottles of bubbly and a card. Breakfast was delicious with a very good choice on the menu. We left with a little goody back for our onward journey which I thought was a nice touch. Will definitely be returning. 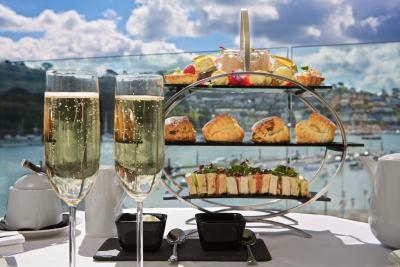 Overlooking Dartmouth Marina and the picturesque River Dart, The Dart Marina Hotel offers stylish rooms and a luxury spa. 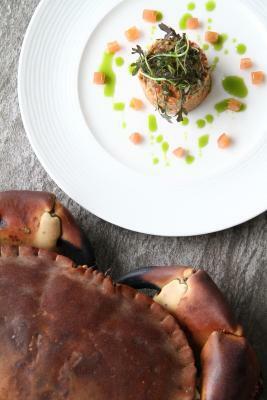 With free parking and free Wi-Fi, there is also an award-winning restaurant. 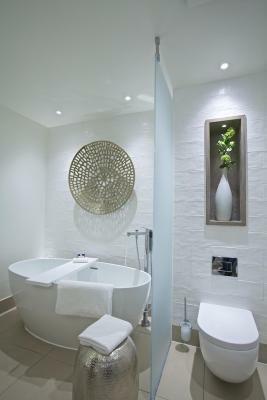 The relaxing spa features an indoor pool, spa bath and steam room. There is also a small gym, grooming room and beauty treatment rooms with skilled therapists. 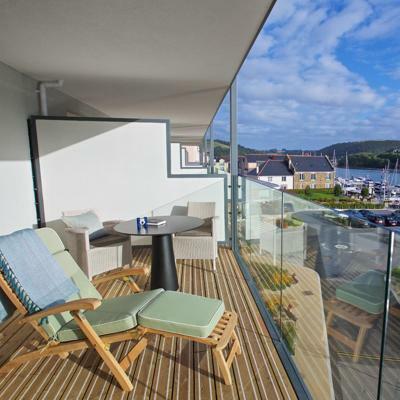 Rooms at Dart Marina each have a private modern bathroom and tea/coffee facilities with mineral water. 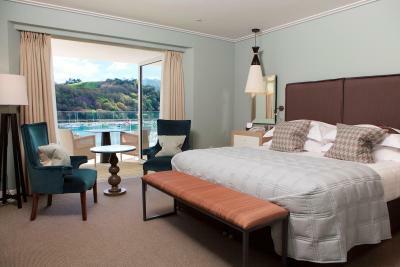 All rooms have a flat-screen TV, binoculars and scenic river views. 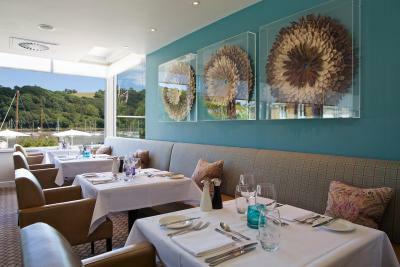 River Restaurant has an AA Rosette, and offers fine dining and fresh local seafood. 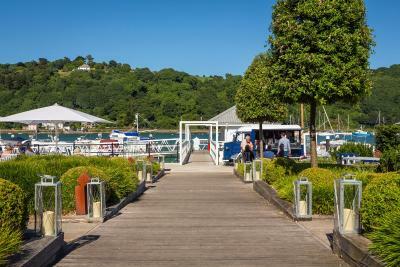 Just a few minutes' walk from Dartmouth centre, Dart Marina Hotel is a 30-minute drive from the beautiful Dartmoor National Park. 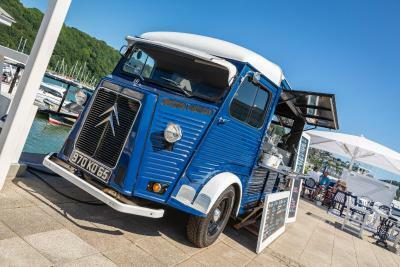 The popular beaches on Devon's coast are a 10-minute drive away. 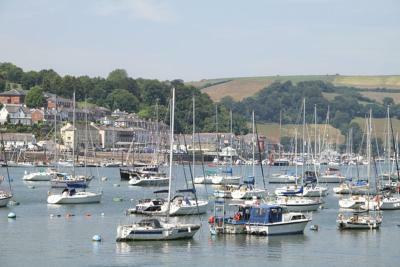 This property also has one of the best-rated locations in Dartmouth! Guests are happier about it compared to other properties in the area. Dart Marina Hotel has been welcoming Booking.com guests since 2 Aug 2005. 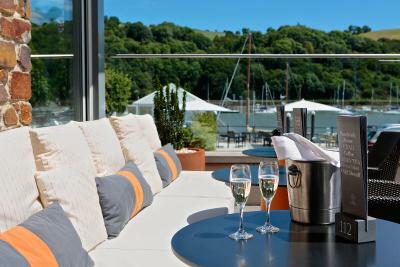 When would you like to stay at Dart Marina Hotel? This air-conditioned room has a flat-screen TV, DVD player, refrigerator and tea/coffee making facilities with ground coffee and fresh milk. Please note that there are stairs to these rooms so they may not suitable for guests with mobility problems. 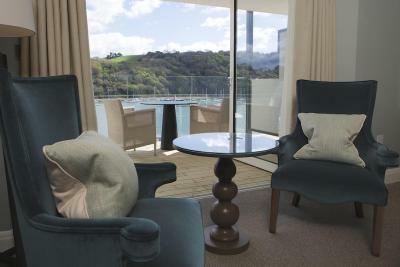 These modern rooms feature a balcony overlooking the River Dart, a wet room shower and a free-standing bath. 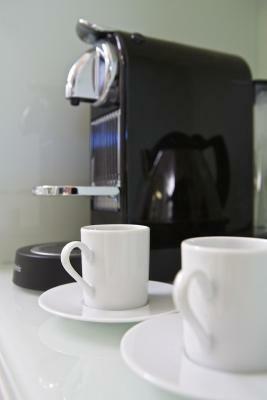 Free WiFi, air conditioning and a Nespresso coffee machine are also provided. 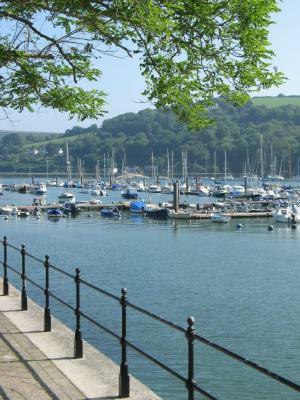 Staying by the River Dart is a magical experience and the views are breath-taking. 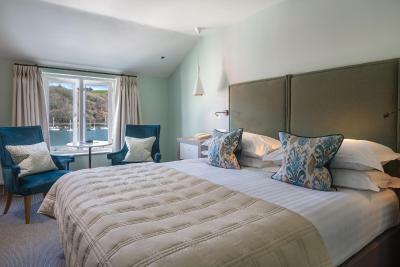 Each of our beautifully designed rooms has a River view and from dawn until late at night the scenery just keeps catching the eye. Boats of all shapes and sizes, little water taxis, sleek yachts and cruisers, then there’s the natural beauty – ancient trees, birds in abundance and even the occasional Grey Seal! As each season changes, so does the view. It is truly a place to stop and gaze. In all our rooms you’ll find: TV, DVD, safe, free Wi-Fi, fridge with fresh milk for the refreshments’ tray, and of course free car-parking too. House rules Dart Marina Hotel takes special requests - add in the next step! Dart Marina Hotel accepts these cards and reserves the right to temporarily hold an amount prior to arrival. Please note that the hotel does not accept payments made by American Express. Shower could have been stronger and perhaps add seeds, raisins, nuts and blueberries to complement the cereal!! But nonetheless it was outstanding! Location, facility, room and breakfast! Lovely classy rooms, right on the waterfront. 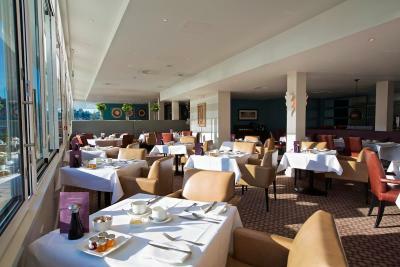 We enjoyed using the pool and spa, and the breakfast was great too! 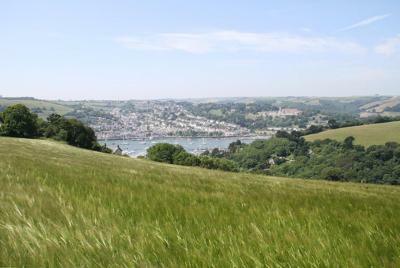 Dartmouth town centre a short five to ten minute walk away. We both found nothing to dislike. Bar area could be a bit more inviting. Only one lounger between two people on the balcony. Just an observation....it was too cold to use the balcony. Room for many improvements here; Technical issues with the room- a radiator that would not turn off and so it whistled all night. Maintenance man very obliging, but unable to fix the valve. Similarly water pressure poor in shower - this could not be improved either.After two nights we asked to move rooms; we feel this should have been offered when the problem first occurred. The new room also had poor water pressure in the shower. The breakfast was way below par for a hotel in this price range( we paid £180 a night). The quality of the food was good, (although my scrambled eggs were not hot), but the range of cold/continental items available was limited- ie boxed cereals, fruit salads , yogurt and some pastries. There was no granola, dried fruit/nuts, pancakes, crumpets, or cold meats and cheeses , whole pieces of fresh fruit or artisan breads. I also feel that having the jams in little glass jar creates a'self-service' feel to the meal, which is clearly not what is intended!